For families who treasure the journey as much as the destination, VIA Rail Canada (888/842-7245) is returning the popular Maritime Learning Experience to its Montreal-Halifax line. From now through October 11, VIA will again combine onboard educational entertainment with comforts and views that are exclusive to train travel. It makes for a very special vacation for parents or grandparents and older children who enjoy a spectator experience. With an evening departure from Montreal, Sleeper Touring Class passengers on board the Ocean are treated to a sunset ride along the southern shores of the St. Lawrence River right on through Quebec’s stunning MatapÃ©dia Valley. After dozing off in the moonlight, riders awake to a full breakfast with breathtaking views of New Brunswick’s misty Chaleur Bay. 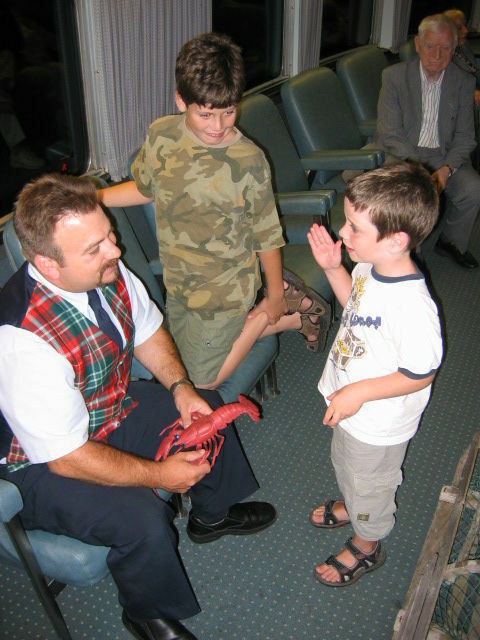 Afterwards, passengers are invited to enjoy the train’s 360-degree panoramic dome car where a knowledgeable Learning Coordinator engages both young and old with entertaining programs that focus the history and culture of Canada’s beloved Maritimes. In addition to three regionally-inspired meals, your rail adventure is enhanced by priority boarding as well as a comfortable cabin for two that includes duvet bedding, shower accessories and bottled water. While fares vary, the average autumn 2010 cost for a family of four occupying 2 double-berth rooms on board the Ocean is around $1,800. Prev Article Prev Article Grownups Guilty of Texting While Driving – Sound Like You?